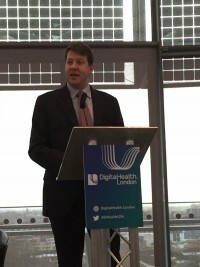 George Freeman painted a compelling vision of a future where technology transforms the lives of patients by joining up big data with common sense thinking and a pragmatic approach; a vision that I think every right minded technologist would thoroughly get on board with. 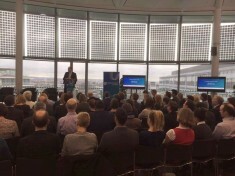 The audience certainly seemed enthused with the vision, and although there were some dissenting voices, the pledge of billions of pounds of funding made this past weekend seemed to demonstrate that there is real money backing up the vision. What was not mentioned in any of the presentations, or by the audience, was the challenge of how to actually deliver on this vision. The danger of a strategy that ‘lets a million flowers bloom’, is that you end up (as was actually cited by a presenter working in Geriatric care, across a multiplicity of settings and systems) with ‘drawers full of the latest innovations,’ consigned to the scrap heap of yesterday because, although the solution was great, the adoption was never fully completed. The challenge we see, which differentiates the good providers from the great ones, is their ability not only to innovate, but their ability to make that innovation stick with robust change management programmes that not only engage clinicians, but fundamentally change the behaviour of everyone in the organisation. Our platform transforms how organisations deliver and manage care pathways, changing the behaviours of clinicians, administrators, patients and payors. The projects that deliver real value are the ones that have executive sponsorship working to a real business case that can sort the ‘nice to have’ from the ‘clinically necessary’; failure to run change properly is what makes these projects succeed or fail. 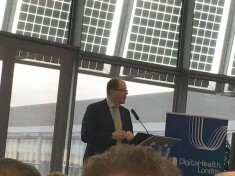 DigitalHealth.London can make sure we actually arrive at the future we envision by helping providers on their journey, and ensuring that they can transform their organisations to take advantage of the opportunities that technology brings. Great ideas are not enough, great apps are not enough, changing the delivery of care to align with what technology can deliver is our greatest challenge and that is where we must continue to focus, otherwise we will just see more and more ideas burnt out and consigned to the drawer, like all those great ideas before them.